The first two human cases of West Nile virus have been reported. According to the state Department of Public Health, the patients are residents of Fairfield and Newington. Recently, state officials have reported an increase in the numbers of mosquitoes carrying West Nile virus this summer. The virus is most commonly spread to humans through mosquito bites. 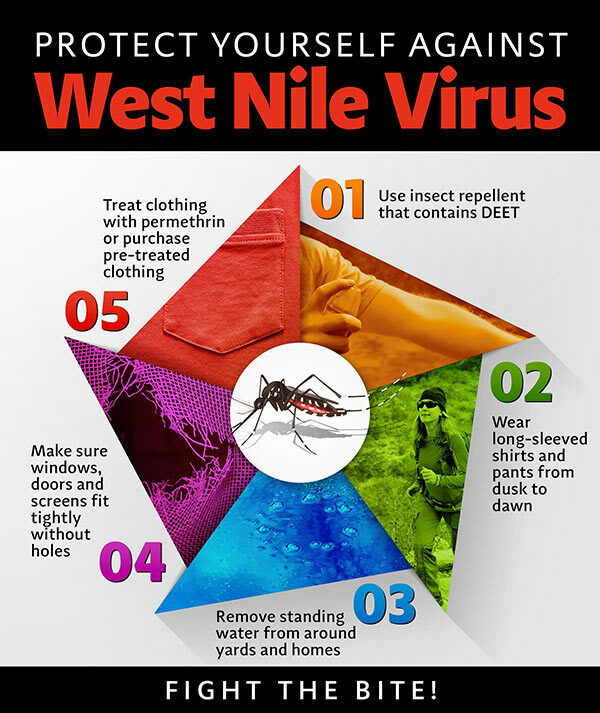 You can reduce your risks of contracting West Nile by protecting yourself from mosquitoes. Get rid of standing water around your house or apartment--wet, murky areas are where mosquitoes tend to breed. Buckets, discarded tires, and even bird baths are great places for mosquitoes to lay eggs. Wear long sleeves and long pants if you're going to be outside for an extended period of time. Dusk through dawn is when mosquitoes are most active. Use insect repellant that contains DEET, picaridin, IR3535 or products that contain oil of lemon, eucalyptus and para-menthane-diol (wash treated skin when returning indoors).